Wills in Texas are usually the most important component of every estate plan. Generally speaking, Wills in Texas name beneficiaries, name the executor, make specific bequests, describe how administration of the estate should occur, set up trusts, and name the guardian for minor children. Names Beneficiaries. A beneficiary is a person who should receive a share of the decedent’s estate. After the cost of the funeral service, estate administration, taxes, specific bequests, and paying off the estate’s debts, each beneficiary will take a share of the remaining estate. Typical beneficiaries include spouses and/or children, though it is important to name alternate beneficiaries. Names the Executor. The executor is person charged with administering the estate, which generally includes handling the probate process, paying debts and taxes, and distributing estate assets in accordance to the will. Care should be taken in naming the executor. It is imperative that the executor be much younger than the testator, trustworthy, good with money, knowledgeable about the testator and the testator’s assets, and free of felony conviction. Alternative executor(s) must also be named. Makes Specific Bequests. A specific bequest is a gift to a specific person of a specific piece of property. This is the usual mechanism for making sure the correct beneficiary inherits that heirloom furniture or classic car. Specific bequests need not necessarily be made in the will. 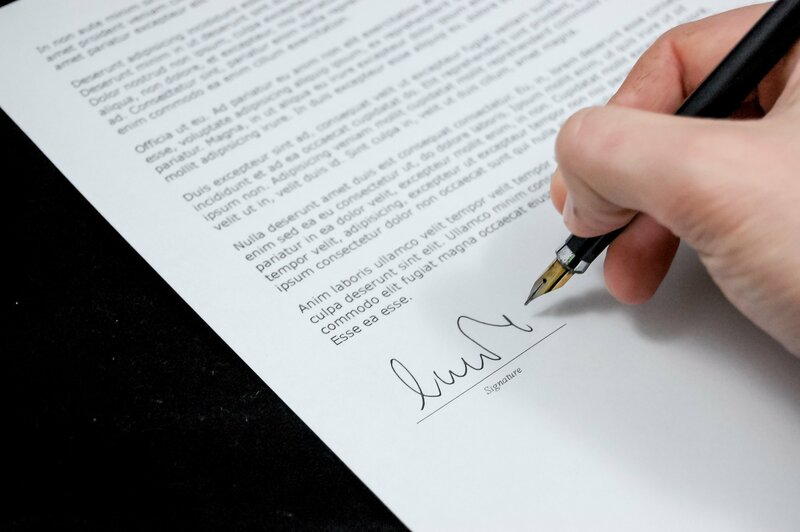 In fact, in some situations, it is advisable not to make such specific bequests in the will; instead, sometimes the preferred method of making specific bequests is the letter to the executor that accompanies the will. Describes Estate Administration. The will should specify how the testator would like the estate to be administered. For instance, the will should indicate whether the estate should be administered by the executor independent of court supervision and whether bond should be required of the executor. The will should also indicate how the debts and taxes should be paid. Sets Up Trusts. For estates requiring trusts after death, the will generally creates those trusts. Trusts created as part of a will are called “testamentary trusts.” Testametary trusts are used for tax planning and/or to provide for younger children. Tax planning trusts are discussed in further detail below. As to trusts for children, a trust is often preferable over an outright gift of cash to children. Although a child cannot actually receive and control an outright gift of cash until age 18, many testators prefer that their children not have control of cash until even after age 18. That is, a trust that lasts until the child reaches age 25 assures that the child will have money for college education instead of that Corvette the child always wanted. Names the Guardian for Minor Children. The will names the testator’s preference of guardian, and alternates, for minor children in the event the testator and the children’s other parent die before the children reach age 18. There are actually two kinds of guardian to name for minor children: guardian of the person and guardian of the estate (money). A single guardian can—and generally does—fulfill both roles for the minor children. What happens when an individual dies without a will in Texas? If an individual dies without a Last Will and Testament, the administration of the estate will likely be more costly and burdensome for the individual’s loved ones. The State of Texas has developed defaults for the disbursement of assets upon death of an individual without a will (the set of defaults is called “intestate succession”). Texas is a “community property state,” which means that most all property acquired during a married person’s marriage belongs to the community estate. The community estate consists of property jointly owned by a married couple—it is basically a “pot” that all property acquired during marriage automatically goes into, of which each spouse has a ½ interest. For example, a car purchased by one married individual during the marriage belongs to the community estate, not to the person individually. Upon death, a married person’s will can only give away his ½ interest in the community estate as well as his separately owned property (which is mostly property that was acquired before marriage). In the absence of a will, the default rule is that all of a married person’s property (his ½ of the community estate and his separate property) will simply go to the spouse. If the person who died (called the “decedent”) had children from outside the marriage, then the default instead provides that his children will inherit his ½ of the community and his separate property. Regardless, the spouse, by law, must be permitted to reside in the couple’s homestead for as long she wishes. For unmarried individuals, the intestate succession rules lay out a tiered hierarchy for which group will inherit the decedent’s property. The type of intestate succession in Texas is called “per capita with representation.” Essentially, each person in the nearest generation to the decedent will inherit an equal share of the decedent’s estate. If one of the people in that group dies before the decedent, then that person’s heirs will split that share. For example, if Tom died unmarried with two siblings, Abel and Bob, each sibling will inherit ½ of Tom’s estate. If Abel had died before Tom leaving behind two children, Cecil and Donna—then Bob would take his ½ share, and Cecil and Donna would split Abel’s share (taking ¼ each). When an individual dies without a will, he or she gets no say in how the property will be dispersed. Plus, without a will the estate administration will almost always be more expensive, longer, and more burdensome than if the individual had died with a will. The lawyers’ fees and court costs may total double (or more) the costs of dying with a valid will. All in all, Wills in Texas save families money in the long run.